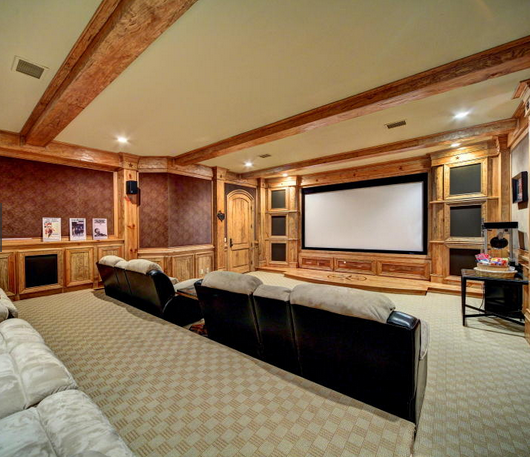 Your Super Bowl Pick: Where Would You Watch the Game? 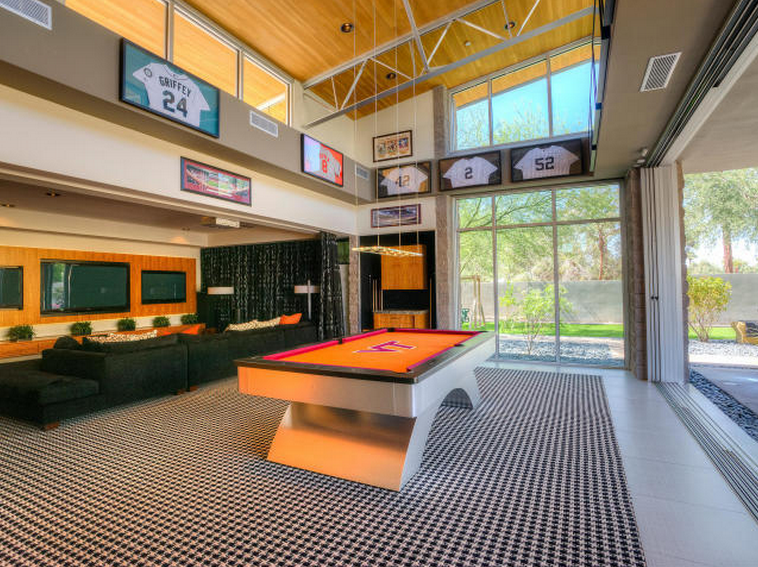 Why watch the game with strangers in a raucous sports bar when you could have an invitation-only crowd in your fabulous home theater or entertainment center? 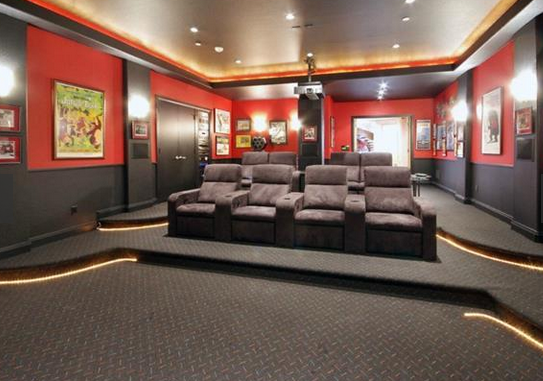 The rich reds of the theater above are in a Texas-sized home that is on the market in Fort Worth for $4.395 million. Built in 2007, it has five bedrooms and six baths in 10,900 square feet and sits on a nearly three-acre lot. Here are some others to wish you could own (or at least rent) on Sunday. Evan Joseph/ Extell DevelopmentThe 360-degree views from the 89th and 90th floor duplex stretch from the Atlantic Ocean to the Catskill Mountains. A New York City real estate record is broken almost as often as the No. 1 train heads uptown. 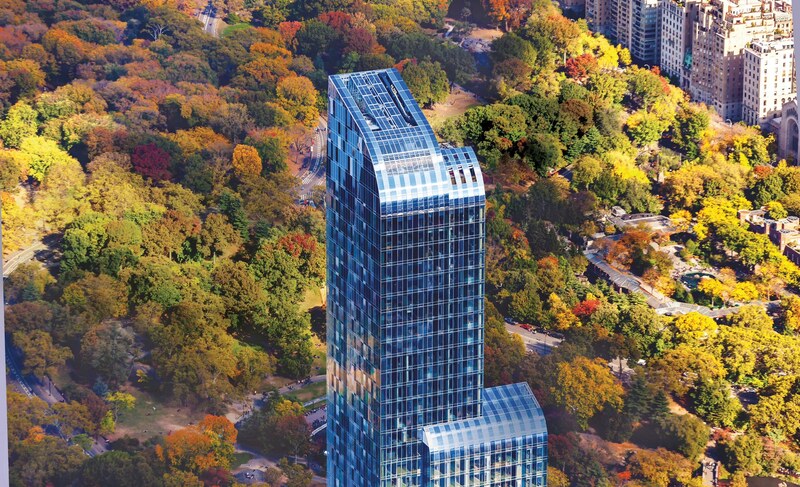 And the latest — most expensive apartment ehhh-ver — has been shattered at One57, the West 57th Street, long-drink-of-water building whose 11,000 square-foot penthouse has sold $100.47 million. The previous record-holder was a Central Park West penthouse that sold for $88 million in 2012. One57, which incorporates the ritzy Park Hyatt Hotel on 25 of its 90 floors, has gotten its share of press — good and bad. For a hot minute, One57 was heralded as the tallest residential building in NYC at 1,000 feet — until 432 Park Avenue grabbed the title at 1,396 feet. Central Park lovers griped that the slender building was casting a long shadow over the famed park, making it chilly. They also harrumphed that the building’s sky-high prices would attract only Saudi princes, Russian oligarchs, and other non-stakeholders in New York City’s welfare. During Hurricane Sandy in 2012, the construction crane on the building partially collapsed, causing neighborhood evacuations and snarling traffic for about a week. Extell Development Company, which created the colossus, won’t name the record-breaking buyer, but said that the building is 80 percent sold, and that half of those units are foreign-owned. 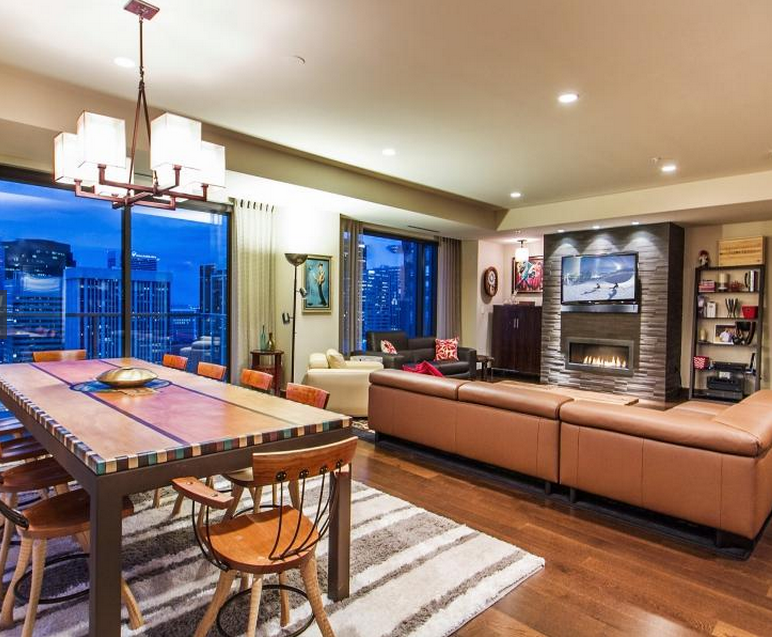 So, we wonder, what makes the record-holding penthouse worth $100 million? The penthouse includes six bedrooms, seven bathrooms and two powder rooms. The building features a triple-height indoor swimming pool, fitness center and private dining room. Condo owners have access to preferred seating in the hotel’s “The Back Room” restaurant, in-room spa and chef services, and dog walkers. ZillowThe four-bedroom East 72nd Street apartment that once was a Rat Pack hangout has been completely updated. The Manhattan penthouse that Frank Sinatra shared with Mia Farrow during their short marriage has finally found a buyer. Luxury Listings NYC reports that the Upper East Side apartment, which originally hit the market in 2012 for $7.7 million, is under contract for $4.9 million. 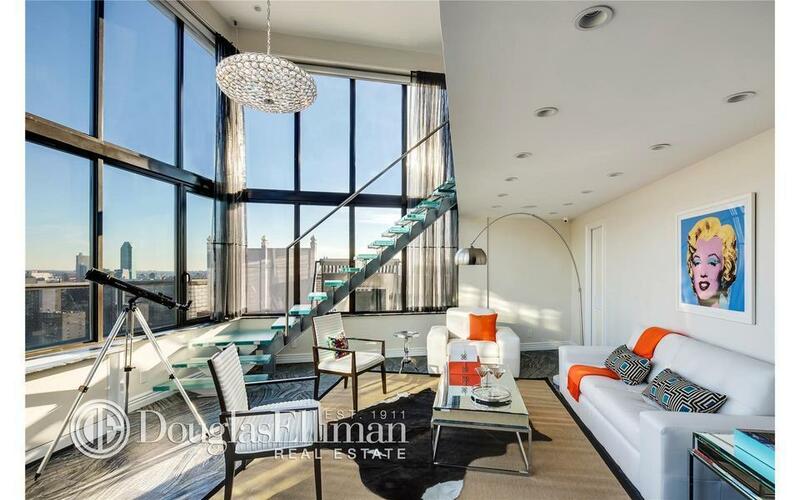 The East 72nd Street apartment has 3,200 square feet and once was a Rat Pack hangout where legend has it Sammy Davis Jr. threw champagne glasses off the 23rd floor terrace into the East River below. Pop artist Andy Warhol called it a “glittering grotto in the sky,” where President John F. Kennedy and Marilyn Monroe used to party down when they visited Sinatra’s place in old New York, New York. The four-bedroom duplex, which has 18-foot ceilings and a new glass staircase, also was the love nest Sinatra shared with Mia Farrow when they married in 1966; Sinatra was 50, and Farrow was 21. The couple divorced two years later but remained close friends throughout Sinatra’s life, a Vanity Fair profile says. The New York Observer says Sinatra owned the co-op from 1961 to 1972. The current owner bought the apartment in 2010 for $2.3 million, according to New York City property records. Cassandra Hubbart, AOLLeaving off deductions you’re eligible for, such as mortgage interest and property taxes, is leaving money on the table. Do you work at home? Collect a tax break either by using the simplified method explained below or doing some complicated calculations to claim your exact home office expenses. You can’t deduct a home office just because you head in there after dinner to read AOL and answer emails from co-workers. Your home office doesn’t have to be in your home. A studio, garage, or barn can count as a home office. Energy-efficiency home upgrades you made in 2014 can potentially cut your tax bill by up to $500, thanks to the residential energy tax credit. This tax credit lets you offset federal taxes dollar-for-dollar. You may be able to claim up to 10 percent of what you spent in 2014 on such items as insulation, a new roof, windows, doors or high-efficiency furnaces or air conditioners. There’s a $500 lifetime cap (meaning you have to subtract any energy tax credit you used in prior years). Congress waited until about a week before Christmas to give you this deduction for 2014. That delay caused the IRS to have to make “extensive programming changes.” If you file this deduction, you’ll have to wait for the 2014 version of Form 5695 to come out. This is the mother lode of tax deductions. You typically can deduct the interest you pay on your home loan of up to $1 million (married filing jointly). You have to use your mortgage to buy, build or improve your home. Using a home equity line or mortgage for something else, like paying college tuition? It’s generally OK to deduct the interest on loans up to $100,000 (married filing jointly) as long as your home secures the loan. An RV, boat or trailer counts as a home if you can sleep and cook in it and it has toilet facilities (if you’re not sure what “toilet facilities” means, watching a couple episodes of the TV show “Buying Alaska” will enlighten and entertain you). Second home loans count toward the $1 million loan limit. The property taxes you paid to the state, the county, the city, the school district and every other government entity that reached into your pockets last year are usually deductible on your federal tax return. If your mortgage lender paid your property taxes, look on your annual escrow statement to see the exact amount paid. You can’t deduct assessments (one-time charges for things like streets, sidewalks and sewer lines). Keep a record of the assessments you paid. When you sell your home, you can generally use the cost of those assessments to reduce any tax you owe on your sale profit. If you have a Veterans Affairs, Federal Housing Administration or Rural Housing Service loan, you likely paid upfront mortgage insurance premiums at the closing table (they might have called it a guarantee fee). The deduction for those is pretty complicated. If your mortgage lasts more than seven years, you divide the cost of that upfront mortgage premium by 84 months and then multiply by the number of months you paid it (so 12 months for a full year) to get your deductible amount. If you mortgage lasts seven years or less, you divide by the number of months it lasts and multiply by the number of months you paid it. You have to have gotten your mortgage in 2007 or later. When adjusted gross income is more than $100,000 (married filing jointly) you start losing the private mortgage insurance deduction and it disappears completely when your adjusted gross income is more than $109,000. What about all the other home-related expenses you paid, but can’t deduct, like your new deck or the pipes you replaced? Hang on to those invoices and receipts by scanning them (receipts fade over time) and storing them in a file or online. When you sell your home and you’re figuring out if you owe federal tax on the profits, you may be able to subtract the cost of the improvements you made from your home’s selling price. Tax laws are complicated and the devil is in the details. This article contains general information, so it may, or may not, apply to your situation. A tax professional or tax software can tell you how the tax rules apply in your circumstances.